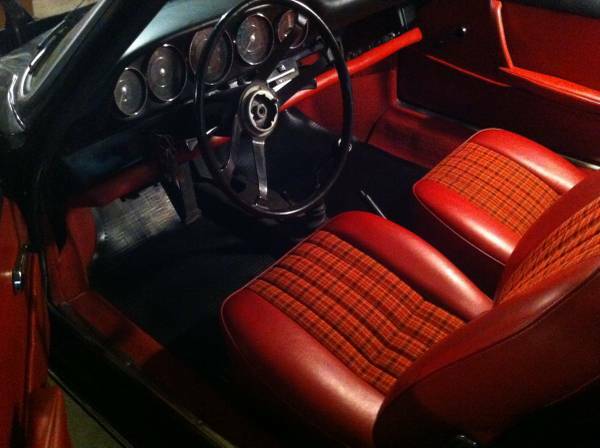 Buy Classic Volks – Found this one in craigslist posted about 3 days ago when we write here. As you’ve seen here is a nice original sample of classic Porsche 912 Coupe that was offered for $35000 located in Noblesville, Indiana, United States. 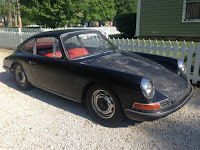 Owner says is good overall and it will a good start to restored. VIN: 451077 come in black. 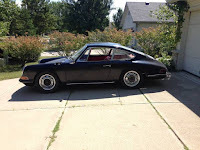 I’m selling my 1966 Porsche 912. I’ve owned it for 5 years now, and have made a bunch of improvements as I’ve gone. It runs/drives great, and is a ton of fun to drive! It does need work to be perfect, but it’s a great solid driver in the meantime. The interior is awesome. 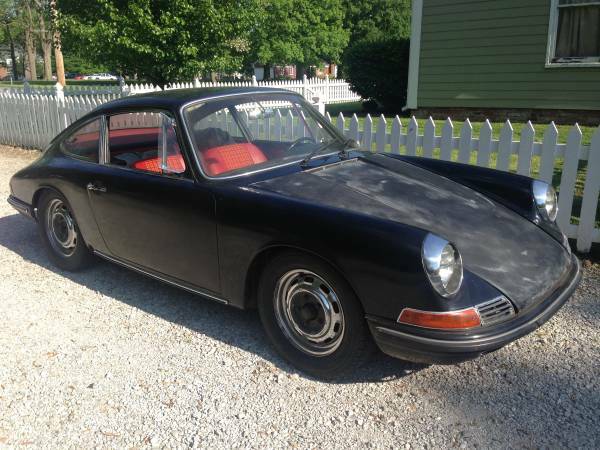 It was redone shortly before I purchased it, and it’s actually what sold me on the 912 originally. The seats are great, the German square-weave carpet is awesome, and it has nice rubber mats. 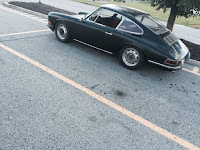 It is missing the horn button, the Becker Europa turns on but has stopped picking up stations, and the upholstery around the door handles and arm rests needs finishing. It’s a 5 gauge car, with a painted dash. I recently did a bunch of work on the steering gear, new support bearing, new flex disc, etc. The turn signals aren’t quite wired right, but hopefully I’ll have that diagnosed and fixed shortly. The exterior is very straight. It was a bare metal repaint shortly before I purchased it, but it wasn’t finished properly before the previous owner ran out of money. They wet sanded it, but never polished it, and the hood is unpainted. It also comes with a nice set of Fuch replicas that I recently had powder coated gray (they need tires, and the tires on the car are old). The engine is good. The exhaust is too loud, sounds like a leak, and I have exhaust manifold gaskets that I haven’t installed yet. It drips oil, mainly from the driver side rocker cover, I have new gaskets to install for those as well. But it runs nicely, it’s very peppy, responsive, and fun to drive. It has a 901 4 speed manual transaxle. It shifts well, and is relatively accurate for a 901 (they’re notoriously vague). It should have a clutch soon, as it will slip under very aggressive driving. You won’t slip the tires right now. Overall, it’s an awesome little car that could be a very nice example for someone willing to do a little loving work. 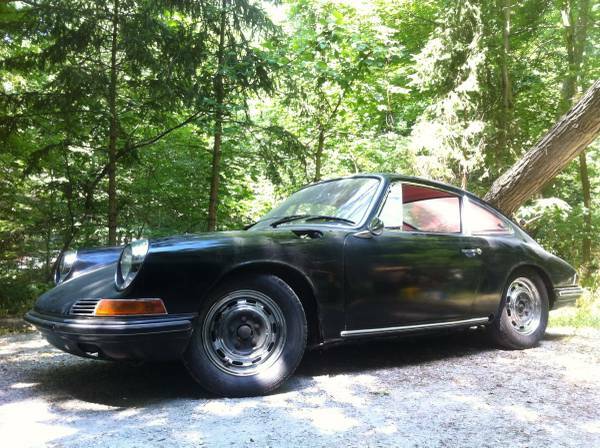 I love it, but I love 911s more, and I’d like to sell it to help fund my 911 build. I’m asking $35,000 obo, and I have a clean/clear title in my name. It’s worth a good chunk of money, so I won’t allow drives unless you get serious, but I’m happy to drive you around before hand. 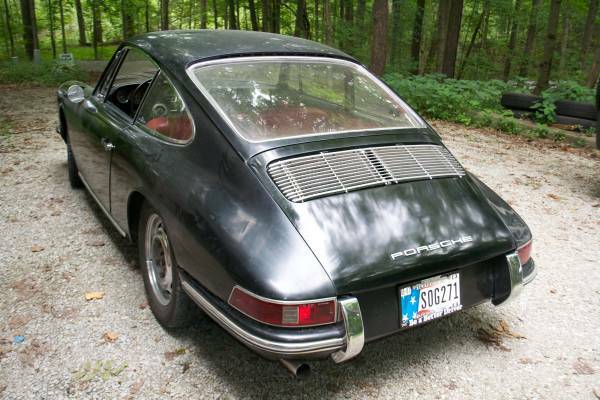 This entry was posted in 1966, 912, Closed, Porsche, USA and tagged Porsche 912 on May 7, 2016 by buyclass.